AJ Styles’s match against Jinder Mahal, Chris Jericho’s surprise NJPW move and everything else you need to know. 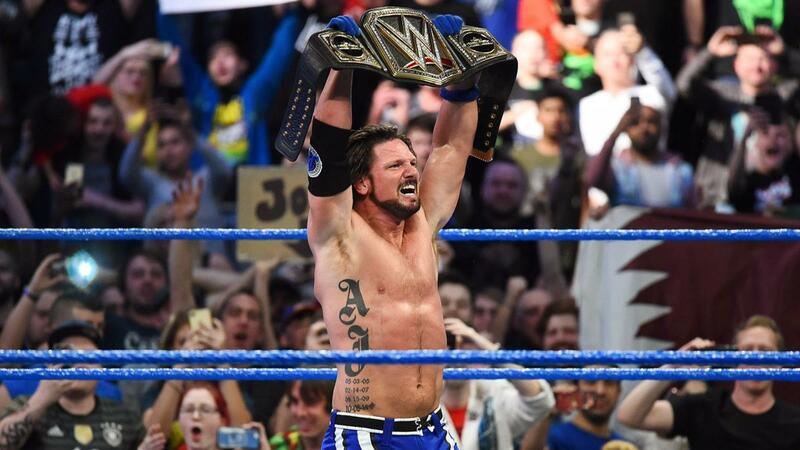 In a move that considerably shakes up this year’s Survivor Series, AJ Styles defeated Jinder Mahal in Manchester, England yesterday on SmackDown to become the new WWE champion. Paul Heyman was one of the advocates pushing for Styles to defeat Mahal and face Brock Lesnar at the Survivor Series on Sunday, November 19 because the match would have far more intrigue. Styles should bring out an entirely different gear in Lesnar. The most compelling match since Lesnar’s return to WWE in 2012 was against CM Punk at SummerSlam in 2013. That was a no-disqualification match that went 25 minutes, which is roughly five times longer than Lesnar’s current matches. There is far more heat to see a huge monster of a heel in Lesnar battling an underdog champion in Styles. A loss would not hurt either opponent, especially Styles. The match also served as an important piece of WWE’s global expansion, as the title change took place in England. Despite Styles’s massive popularity, Jinder Mahal is still highly likely to be champion during the WWE tour dates on its next international stop in India. If that holds true, that would lead to a rematch—and title change—on the Tuesday, December 5 edition of SmackDown. Chris Jericho, fittingly, just made Vince McMahon’s “list”. In another shock that reverberated across the wrestling universe, Chris Jericho announced on Sunday during the Power Struggle show in Osaka, Japan through a video package that he signed with New Japan Pro Wrestling and will wrestle Kenny Omega for the IWGP United States championship at Wrestle Kingdom 12 on January 4. Over the past four decades, McMahon has never considered New Japan as a competitor, but the market conditions have drastically changed. Both WWE and New Japan now offer streaming services, competing for many of the same fans. New Japan World broadcaster Don Callis, who first appeared in WWE in 1997 as The Jackal, is gaining both power and influence within the company, and he brokered the Jericho deal. Jericho was friendly with New Japan booker Gedo, but it was Callis who put it together and pushed hard on both sides to finalize the deal. This deal places Jericho as someone who could be very important to New Japan in 2018 and beyond, both in the United States and Canada. Jericho’s deal with New Japan is reportedly only scheduled for Wrestle Kingdom, but the company is wise to keep that information limited. If Jericho is only staying for one match, then the finish of the match is obvious. New Japan returns to the United States for a show in Long Beach, California on March 25. An appearance by Jericho in Long Beach would help sell out the 5,000-seat venue. If Jericho wins the IWGP U.S. title in January from Omega, then a rematch two months later would create significant buzz. New Japan used to regularly send talent to Calgary and has missed a Canadian connection since the early 90’s. New Japan sent name talent like Shinya Hashimoto and Jushin “Thunder” Liger to Calgary, and also found stars from north of the border. In terms of a response from WWE, the critical question is whether McMahon has been impressed with former New Japan star Shinsuke Nakamura to the point that he will look to lure more New Japan talent to WWE. Will WWE look to raid New Japan talent? The biggest targets are Kazuchika Okada, Tetsuya Naito, and Kenny Omega. The fact that Okada was seen backstage at WWE shows just a few months ago indicates a direct relationship, even if those visits were merely informal. As far as his move to New Japan, Jericho has much to gain and little to lose. He is being allowed input on his creative and complete freedom in his promos. The opportunity to work with New Japan, and at the famed Tokyo Dome, will also allow the entrepreneurial Jericho a chance to widen the talent pool for upcoming podcast guests, as well as book new talent for his 2018 cruise. The thought of setting sail with Okada and Naito has certainly crossed Jericho’s mind. For Jericho, a hot run in New Japan could potentially lead to one more run as WWE champion. Jericho had hoped that would happen at this past year’s WrestleMania 33, which he detailed on a Busted Open radio appearance, where he was originally slated to enter the event as Universal champion and drop the title to Kevin Owens. In further pursuit of the story regarding Rockstar Spud and his visa problems during his time at Impact Wrestling, Sports Illustrated learned that the issues occurred under the Anthem ownership and not during the Dixie Carter regime. Impact vice president Bob Ryder, who was mentioned last week as being involved in the situation, was an advocate for Spud, who endured visa troubles that lasted from March to June. A source close to Impact informed SI that Spud’s visa was rejected twice and a different form was ultimately needed than the original one submitted. Despite working under a guaranteed contract, Spud was not booked for Impact’s November tapings. The argument could be made that Impact purposely left Spud off the tapings so he would ask for his release. If that is the case, Impact got what they wanted with Spud’s departure. As mentioned in last week’s column, Spud would be a phenomenal addition to Ring of Honor or a building block for Billy Corgan’s NWA, but his best fit may be as a mouthpiece in NXT. • ESPN’s 30-for-30 on the “Nature Boy” Ric Flair aired last night, and the documentary was must-see viewing for wrestling fans. An interesting dynamic of the documentary was the juxtaposition on display between the charismatic Ric Flair character and the insecure man, Richard Fliehr, who played him. Levesque first met Flair in 1994 when the two were part of Ted Turner’s World Championship Wrestling, then grew much closer seven years later in WWE. As Levesque got to know the “Nature Boy,” he was shocked to witness Flair’s lack of confidence, which was on particular display in the locker room. Beginning in 2003, Flair and Levesque worked together in the famed Evolution stable, which also featured blue chip prospects in Randy Orton and Batista. Curt Hawkins, Mark Henry, and Tyson Kidd were all in attendance for the screening, as well as WWE Hall of Famer Mick Foley. The relationship between Flair and Foley extends back decades, first to when Foley was a fan, and then all the way to their feud in TNA in 2010. Foley is a wealth of knowledge regarding the history of pro wrestling, and his favorite match of all-time is one of Flair’s classics. When Foley noted that Flair treasures the respect of his peers, Levesque was quick to intercede, adding that such genuine respect goes both ways, as Flair loves praising his peers. Levesque was asked to compare Flair with Hulk Hogan, who he believes were two entirely different entities. Flair’s daughter Ashley, WWE star Charlotte, also spoke at the premiere about her unique position wrestling as the child of one of the greatest ever in the profession. “Do you know what it’s like to have your dad say you can beat Ronda Rousey?” said a smiling Charlotte. “Or what it’s like when your dad tells everyone you’re a ‘top five’ worker in the business? It’s so embarrassing. Charlotte noted that she had recently enjoyed time off the road spent with her father in Atlanta, and she is thrilled that he is peacefully recovering from a surgery that removed a significant piece of his bowel. • Impact Wrestling delivered Bound for Glory this past Sunday, and the pay per view offered a unique chance for wrestling fans to see a tag team match featuring former NFL player Quinn “Moose” Ojinnaka, UFC Hall of Famer Stephan Bonnar and MMA stalwart Muhammed “King Mo” Lawal, as well as former WWE star and Bellator MMA fighter Bobby Lashley. • Dwayne “The Rock” Johnson’s Seven Bucks Production announced its first podcast: Andrew Jenks’ “What Really Happened” audio series. Written, hosted, and co-produced by the award-winning filmmaker Jenks, the show explores six real-life narratives from modern history, including, Mohammed Ali, Chris Christie, Britney Spears, Michael Jordan, Winston Churchill, and Princess Diana. The podcast investigates fact versus fiction, which is a subject where wrestling fans are quite knowledgeable. The idea was then expanded into a larger concept where the first episode details whether Ali actually saved the man in the manner in which he claimed, and the subsequent episodes look at historical events with a different set of eyes to see if a subsection of the story was overlooked. In the Ali episode, Jenks dug to find connective tissue between Ali’s heroic act and President Ronald Reagan. “Ali saved this man on the day before Ronald Reagan was inaugurated as president in 1981, and Ali had beef with Reagan,” explained Jenks. “Plus, if Ali ever wanted to box in America again, he needed to prove he could still speak eloquently because he was told he was impossible to understand, as the brain damage was already starting to show itself. Jenks believes wrestling fans will also enjoy his storytelling. 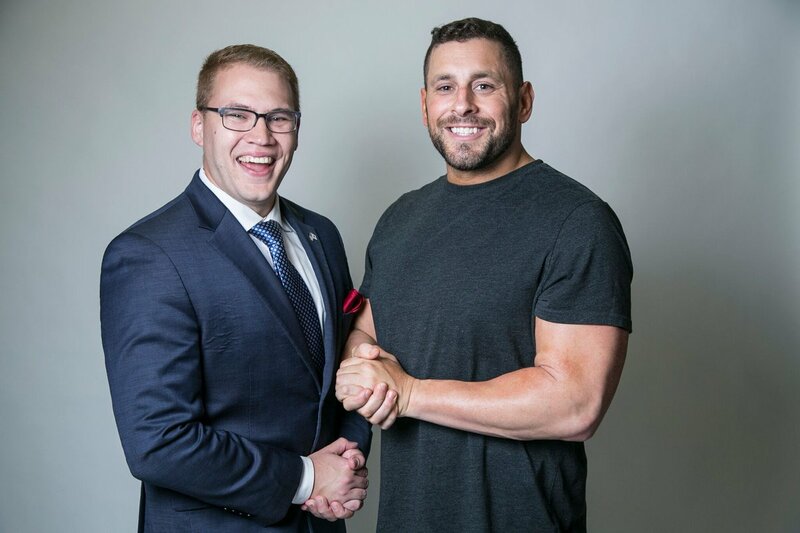 • The Ring of Honor broadcast team of Ian Riccaboni and Colt Cabana has joined forces to raise funds for those still suffering from the wreckage of Hurricane Maria in Puerto Rico. Riccaboni and Cabana are offering a special meet-and-greet at the upcoming ROH Live shows in Fort Lauderdale, Florida on Saturday and Lakeland, Florida on Sunday, allowing people the opportunity to meet with the broadcast team, take a picture wearing their television headsets, and receive an autograph. The cost is $20 and all proceeds will be donated directly to Unidos Por Puerto Rico. Hurricane Maria hit Puerto Rico with winds up to 150 miles per hour on September 20, and caused a catastrophe with power outages still prevalent throughout the island, as well as a severely limited supply of water to drink or bathe in or to even flush in a toilet. • Billy Corgan is kick-starting the rebirth of the National Wrestling Alliance with videos on the NWA YouTube page. 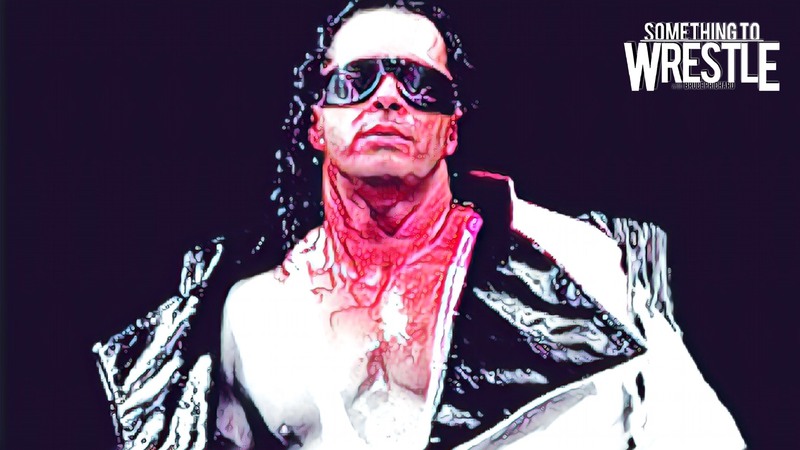 • Something to Wrestle with Bruce Prichard is back this Friday with a new podcast, and Conrad Thompson shared that the show will offer a detailed look at Bret “The Hitman” Hart’s WWE run in 1996 and ‘97. The episode will also cover the rise of “Stone Cold” Steve Austin, in which Hart played a critical role, and Hart’s decision to re-sign with the company in 1996. Thompson will refer throughout the show to excerpts from Hart’s book, Michaels book, shoot videos, the Wrestling with Shadows documentary, and back issues of Dave Meltzer’s Wrestling Observer. “There is so much meat on the bone for this episode that it might actually be our first 5-hour show,” said Thompson. “A lot of people have also been curious about Vince’s relationship with Shawn. Why Vince was so tight with him? And why did ‘The Kliq’ have Vince’s ear? The "Montreal Screwjob" is One of Pro Wrestling's Most Famous Incidents, But Was It All a Hoax? • Stat of the Week: The main event of New Japan Pro Wrestling’s Wrestle Kingdom 12 at the Tokyo Dome on January 4 is IWGP champion Kazuchika Okada vs. Tetsuya Naito. In a clear example of contrasting philosophies, New Japan Pro Wrestling has had only four different champions (Okada, Naito, AJ Styles, and Hiroshi Tanahashi) since January 4, 2011. In that same timespan, the WWE championship has been worn by 16 different men: John Cena, CM Punk, Rey Mysterio, Alberto Del Rio, The Rock, Daniel Bryan, Randy Orton, Brock Lesnar, Seth Rollins, Roman Reigns, Sheamus, Triple H, Dean Ambrose, AJ Styles, Bray Wyatt, and Jinder Mahal. • Al Snow’s weekly advice column, Inside Al’s Head, explored Vince McMahon’s decision to put the WWE championship back on AJ Styles. Snow worked with Styles in TNA, viewing first-hand Styles’ brilliance. He noted that the fans’ desire to watch Styles wrestle Brock Lesnar was an integral part of the decision for the title change. Even if Styles only holds the title for a short period of time, Snow noted that this is still a chance to further impress the many eyes closely watching his work, including McMahon, Michael Hayes, and Triple H.
Did anyone else feel The Undertaker deserved a lot more airtime during the Ric Flair 30-for-30?